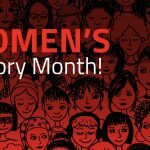 If you didn’t already know, March is Women’s History Month! Congress declared the first Women’s History Month in 1987 after several years of having a week in March be commemorated as Women’s History Week. The National Women’s History Alliance creates a theme each year. This year’s theme is Visionary Women: Champions of Peace and Nonviolence. The 2019 Honorees come from a wide range of backgrounds and work aimed at creating a more peaceful and just world. Their stories are ones that are not often heard as we learn about history and watch the news. Learn more about these remarkable women here. Women throughout the world have fought and are still fighting for basic human rights, equality, and the right to be seen and heard in all sections of society. From a demonstration of millions of women in India to protest for gender equality, to environmental advocates, politicians, peace activists, and so much more, women today are paving the way for future generations, just as women in the past did for us. 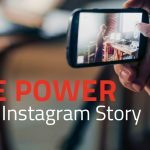 Find out more about these stories here. Michelle Obama, for being a relentless advocate for the empowerment of young girls through education. Through her own lifetime, she has shown what it means to persevere towards your goals even when others try to tear you down. During her time as First Lady, she launched “Let Girls Learn,” an effort to help girls around the world attend school. She also began creating a global adolescent girls’ education program through the Obama Foundation. Read her memoir Becoming to learn more about her experiences. Sheryl Sandberg, for her devotion to helping women achieve their goals and work towards creating an equal world through founding the “Lean In” organization. Her book Lean In: Women, Work, and the Will to Lead discusses issues with the lack of women in government and business leadership positions, concerns with business development and leadership, and feminism. Read Lean In: Women, Work, and the Will to Lead to learn more about these issues and steps towards reaching gender equality. Madeleine Albright, for knocking down barriers in her service as the first female United States Secretary of State from 1997-2001 under President Bill Clinton. Her experiences of earning her PhD while raising a family, earning her first paid job as a legislative assistant at age 39, and breaking into the world of politics demonstrate her determination, acting as a role model for women all over the world. Read her memoir Madam Secretary: A Memoir to learn more about her journey. Malala Yousafzai, for being a constant activist for female education rights since the young age of 11. In 2014, she became the youngest recipient of the Nobel Peace Prize for her struggle for the right of all children to education. Her story is one of inspiration, courage and determination. To learn more, read I am Malala: The Girl Who Stood Up for Education and Was Shot by the Taliban by Malala Yousafzai with Christina Lamb. 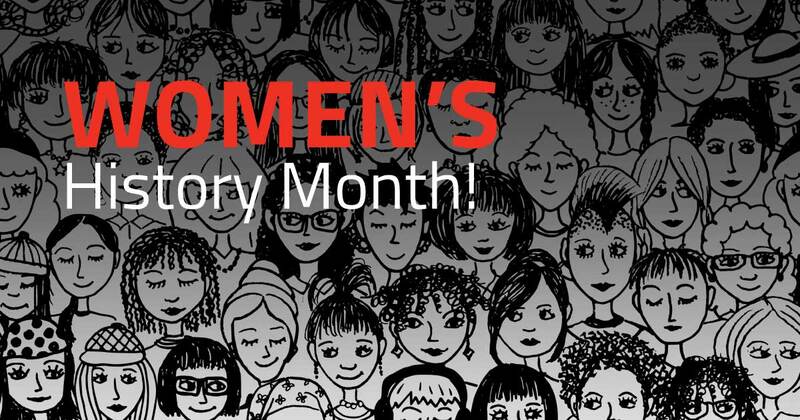 We hope that you will take some time to reflect on a few of the huge achievements made by women throughout history during this Women’s History Month.